This blog post will dive specifically into the Visual Production Scheduler for Microsoft Dynamics NAV and the features which must be shown during demos to really win over prospects. Production can be complex, especially in today’s fast paced marketplaces. But with the aid of technology and enterprise resource planning tools like Microsoft Dynamics NAV, producers as well as consumers can benefit. 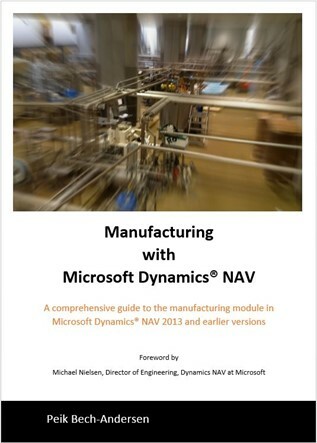 Using Peik Bech-Andersen’s book, Manufacturing with Microsoft Dynamics NAV, manufacturers using Dynamics NAV have direct access to a user guide which helps them swiftly maneuver through the Microsoft Dynamics NAV manufacturing module. This book highlights best practices and shows how NAV can help increase your overall agility. Initially, the book was written for Microsoft Dynamics NAV 2013, but meanwhile there is an updated whitepaper dealing with some NAV 2015-specifics. This blog post gives you a brief overview of how Peik solves today´s challenges in manufacturing with Dynamics NAV.